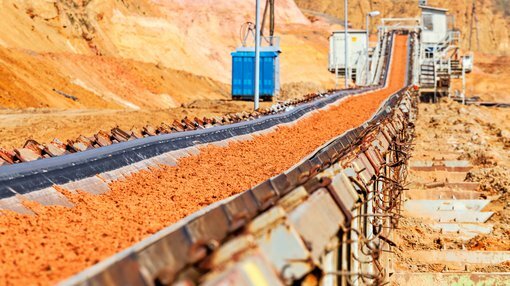 Hardey Resources Limited (ASX:HDY) is soon to commence a new exploration program at its flagship Burraga Project in the Lachlan Fold Belt in NSW, with drilling to focus on the historic Lloyd’s copper mine. Armed with a significant exploration budget for 2018, HDY continues to progress all of the assets within its portfolio, yet it has made the strategic decision to direct its focus to Lloyd’s copper mine with drilling set to begin, ahead of schedule, in the upcoming September quarter. This decision was based on the outlook for copper and the geological potential recognised around the historic workings at the mine. All the preparatory work for a significant drilling program at its Burraga project is now complete. Testing for mineralisation at depth and to the eastern extent of the ore body as predicted by the stacked lens model. In order to increase its understanding of the Lloyd’s ore body HDY embracing cutting-edge technology, namely hyperspectral ore body modelling. Hyperspectral analysis of existing drill core and chips will be used in conjunction with existing GIS and geochemical data to provide a holistic model of the Lloyd’s ore body and its alteration halo. The upcoming drilling will provide additional data for the hyperspectral model of the Lloyd’s site. This remodelling of Lloyd’s ore body will help to guide future drilling programs. This type of analysis has proven to be one of the most accurate and cost-effective exploration tools for assessing structurally complex ore bodies such as Lloyd’s. For the remainder of the year, HDY plans to drill further exploration targets across the Burraga Project. The hyperspectral model will drive future target generation for drilling, whilst the team is also in the process of finalising holes at Hackneys and Isabella within the Burraga leases. 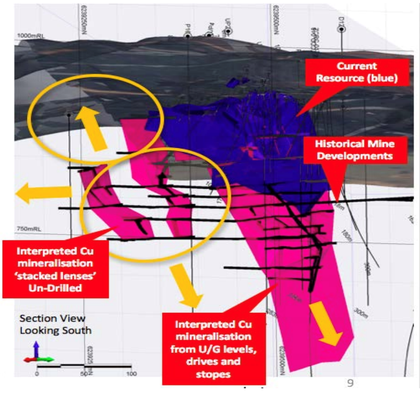 A specialist consultant who has worked for several large ASX listed miners has been engaged to produce a model of the Lloyd’s site which will lead to better exploration strategy. The consultant has produced similar models of many globally significant ore bodies and continues to work with many major resources companies.